When you share Blogger posts/pages to Google+, an entirely new group of people will be able to find and follow you. 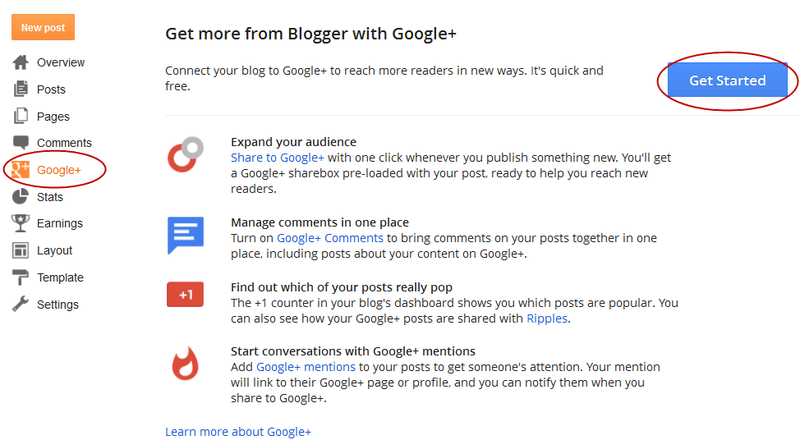 Right now, if you access your Blogger dashboard, you'll notice that there's a Google+ tab which can be used to connect your blogs with your Google+ profile or page. 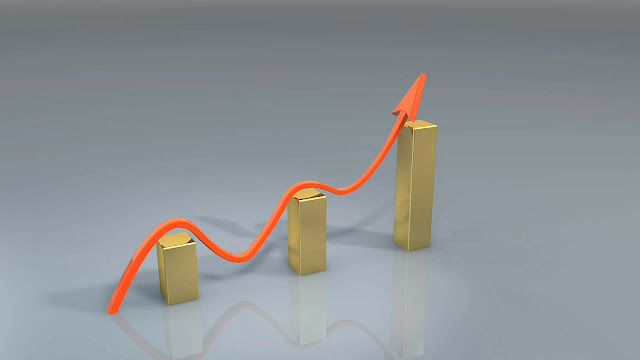 It's important to note that once you've upgraded your blog to connect with Google+, the posts or pages published on your blog will be listed on your personal Google+ profile. 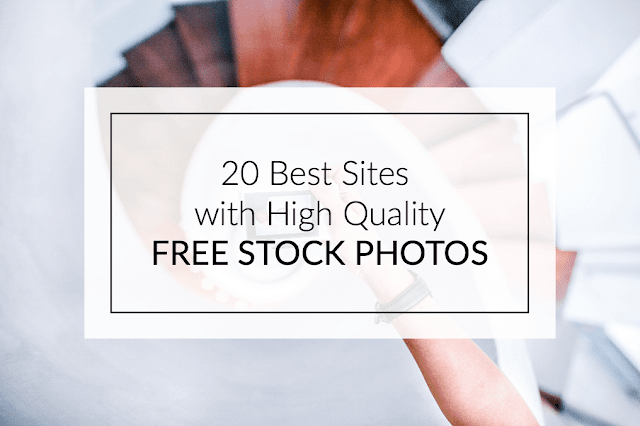 However, you have the option to select whether your content will be shared on your Google+ Profile or Page and associate some blogs with a Google+ page, while keeping other blogs connected with your profile. Automatically share after posting: This option is enabled by default on all blogs linked to Google+. 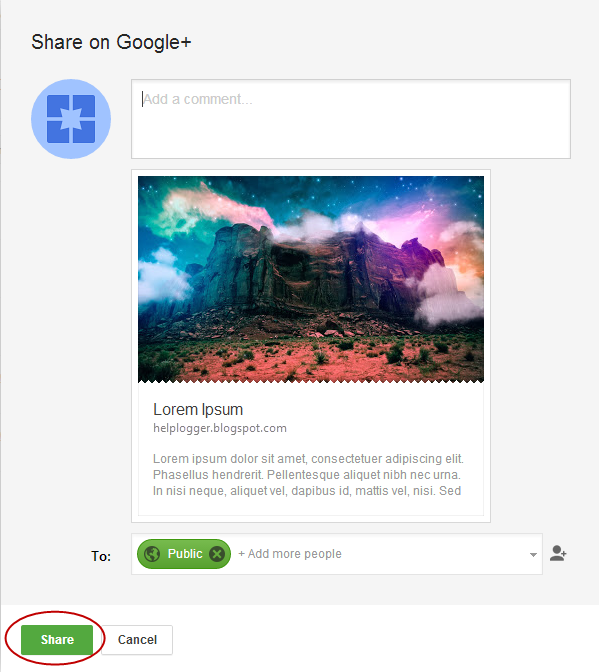 When you publish a blog post or page, a snippet will automatically be shared publicly on your Google+ page or profile. You can disable this setting just by unchecking this box. Promote to share after posting: If you don't want your post to be published automatically, then you can check this option. This option will allow you to share only some blog posts, or share to specific circles. 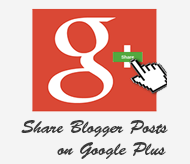 Use Google + comments on this blog: This option enables the new Google + comment system on your blog. This is also a new feature provided by Google. If you have the Prompt to share after posting option checked, next time you publish a blog post, you'll see a share box inviting you to share your post with your Google+ followers. Note that the default circle is set to "Public" but you can modify your circles every time you choose to share. 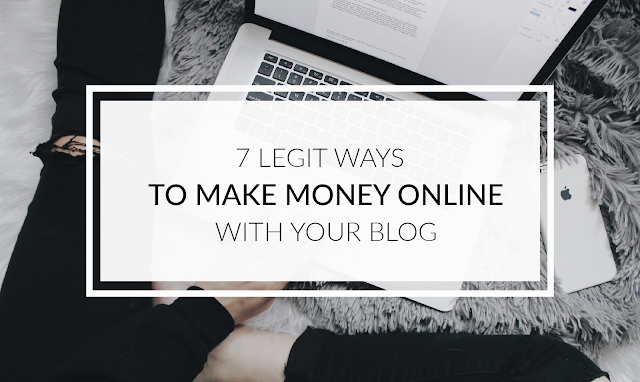 Once you click the Share button, this post will appear on the profile or page to which you have connected your blog. Keep in mind that if you have posts scheduled to be published later, you will no longer be asked to publish to your Google+ stream. In this case, you can choose to Share your post/page at any time by clicking the Share link beneath a post or page. You can also click on this option each time you want to share only certain posts, or if you want to retroactively share posts and you don't want to constantly change the setting. As soon as you've chosen to use your Google+ profile on your blog, you can start sharing your content on Google+. If you haven't yet made the switch, click on this link to get started.